This picture’s fortunate compositional balance is magnetic and the content is the stuff of fantasy. Even debating whether it is for real, requires a long visual engagement. I can assure you that it certainly is for real and its capture is a story about perseverance, logistics, research and ultimately luck. 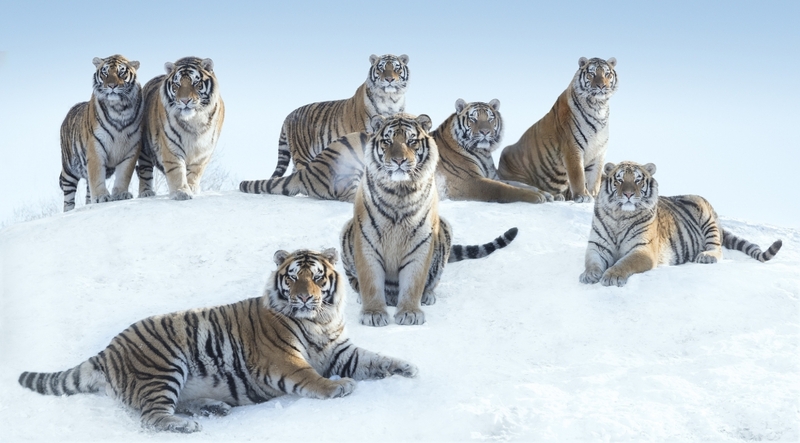 I have never seen another picture like this of Siberian tigers – and the internet does allow for exploration of comparatives.